What Does The Best Bond Cleaning In Eagle Farm Cover? Finding and selecting reliable house cleaning in Eagle Farm is not easy. The most common questions we get asked by people like yourself have been collated below to assist you in making a smart decision. 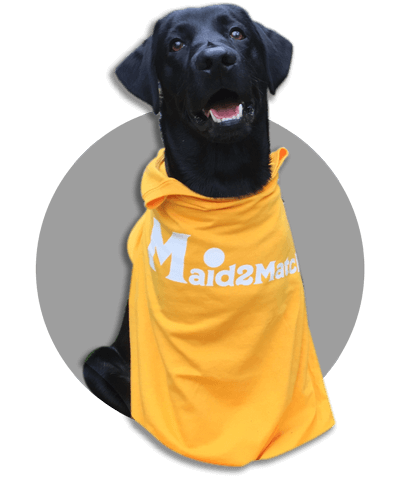 WHY ARE MAID2MATCH EAGLE FARM’S BEST AT VACATE CLEANING? The truth is great bond cleaners possess a different skill set than regular house cleaners and therefore requires specific experience, dedication, and a first-class cleaning checklist. At Maid2Match, we personally vet all our cleaners, after having them complete a three-part application form. We provide extensive support and have crafted the most effective bond cleaning checklist you’ll find. Contact Maid2Match today for your bond cleaning. Eagle Farm is located 6 kilometres away from Brisbane CBD and stands proud as one of Brisbane’s most important industrial suburbs. In fact, Eagle Farm is part of the Australia TradeCoast, a prominent industrial development area. This suburb used to be the home of Brisbane’s top airport, Eagle Farm Airport. Its significance as a transport node is obvious seeing as the Eagle Farm railway station was located here as well. Ironically, though, the Eagle Farm Racecourse is located in the neighbouring suburb of Ascot. The markets in Eagle Farm are great, and Brisbanites love the cheap, yet delicious fruits and veggies they find here. The Eagle Street Markets for homemade products are particularly amazing because they feature creative, quality products, like the buffalo-hide wallets. There are also plenty of festivals in Eagle Farm, you just have to check their dates online first. Among its more famous landmarks, the Allison Engine Testing Stands is located at the former airport site. This is where they tested aero engines during the Second World War, and there are plenty of intact masonry sections and testing bays. There are other important heritage-listed sites too, like the Eagle Farm Women’s Prison and Factory Site, and the Second World War Hangar No. 7.